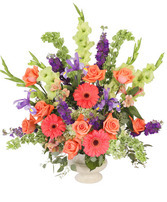 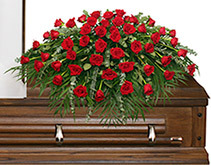 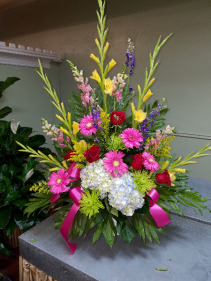 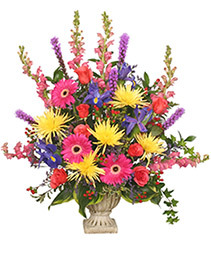 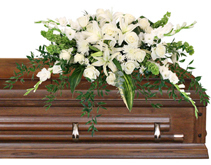 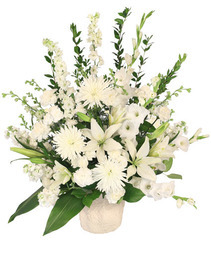 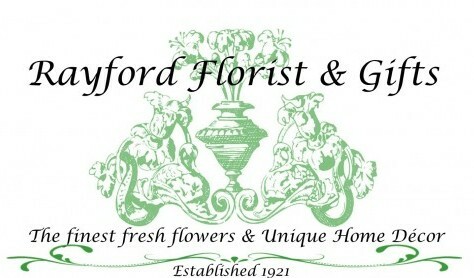 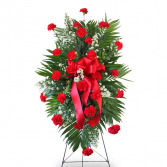 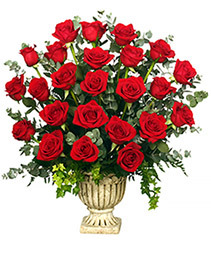 Funeral Flowers from RAYFORD FLORIST & GIFTS - your local Henderson, TX. 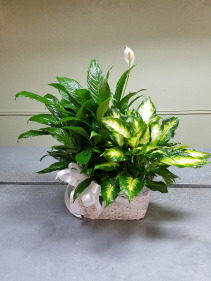 Wicker basket with two standard (6" pot size) plants with a bow. 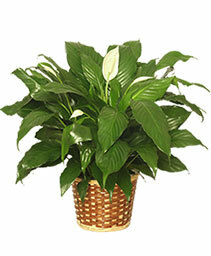 PLANT SELECTION WILL VARY. 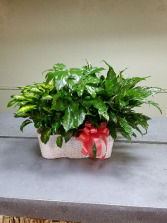 Triple planter basket of three standard (6" pot size) plants with bow. PLANT SELECTION WILL VARY. Simple and dignified standing spray of all carnations. Available in many colors. 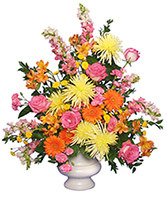 Please specify which color your prefer. 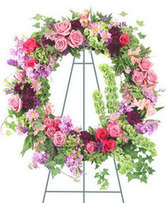 Tall funeral basket design of glads, larkspur, snapdragons, gerberas, roses, mums, hydrangea, and asters. 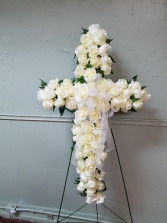 Fresh cross design of all roses. Available in other colors. ACTUAL SIZE OF CROSS WILL VARY WITH PRICE POINT SELECTED. 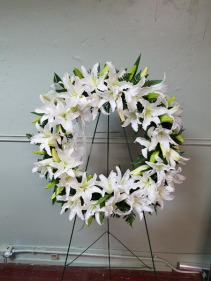 Fresh wreath of all lilies. Available in other colors.